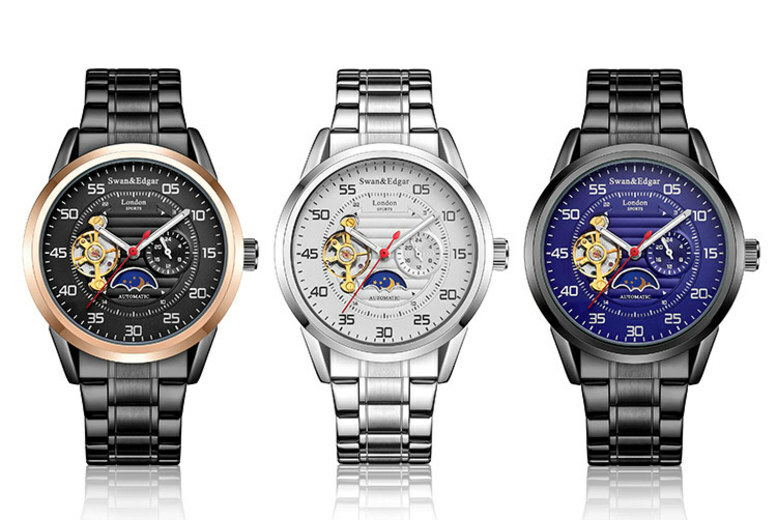 Get a luxury men’s watch from Anthony James. Choose from four sophisticated designs (see below). Each watch is water resistant to up to 30m. £99 instead of £650 (from Timepieces Online) for a men’s luxury Swan & Edgar automatic sports watch – save 85% + DELIVERY IS INCLUDED! 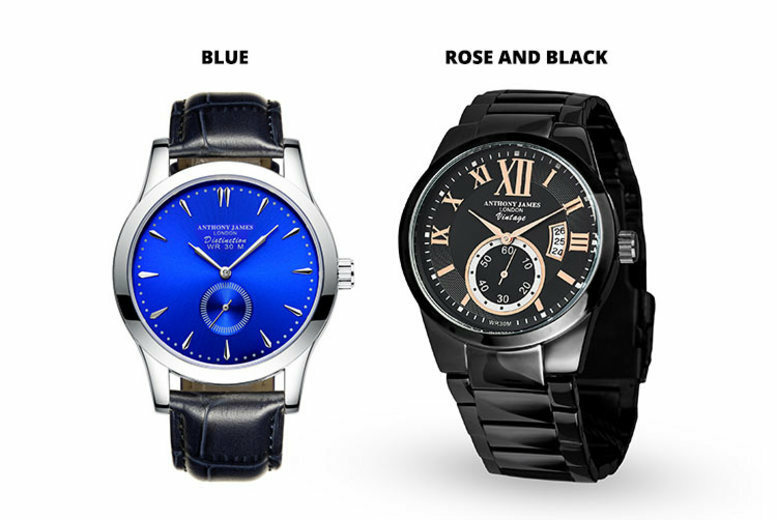 Get a luxury men’s watch from Edgar & Swan. Each with 24-hour, calendar and moon phase functions. 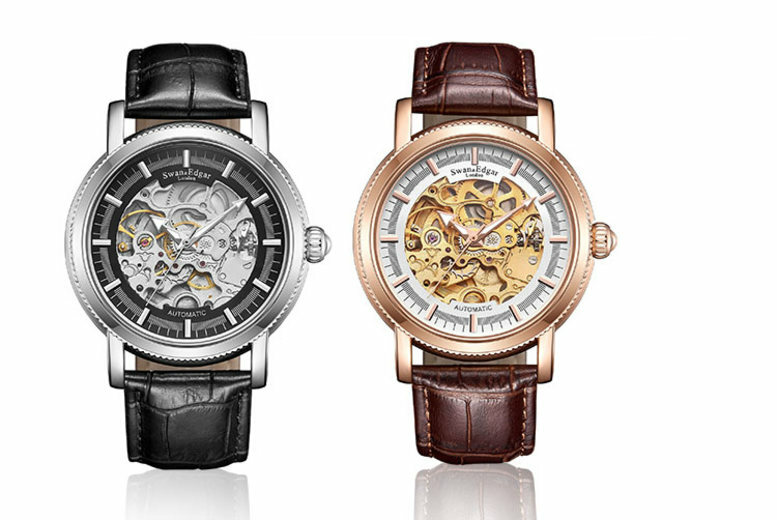 Get a Swan & Edgar skeleton automatic watch. With scratch resistant mineral glass. Comes in two elegant and sophisticated colours for a modern gentleman. In a sturdy and practical stainless steel case. The ideal piece of accessory to come and complete a stylish look. Tell the time in style with an automatic sports watch! Choose from 2 colours: blue or rose. With a 12-hour analogue moon face function. Also boasts a calendar function and daylight hour function. See the full details to discover all this watch’s useful features! 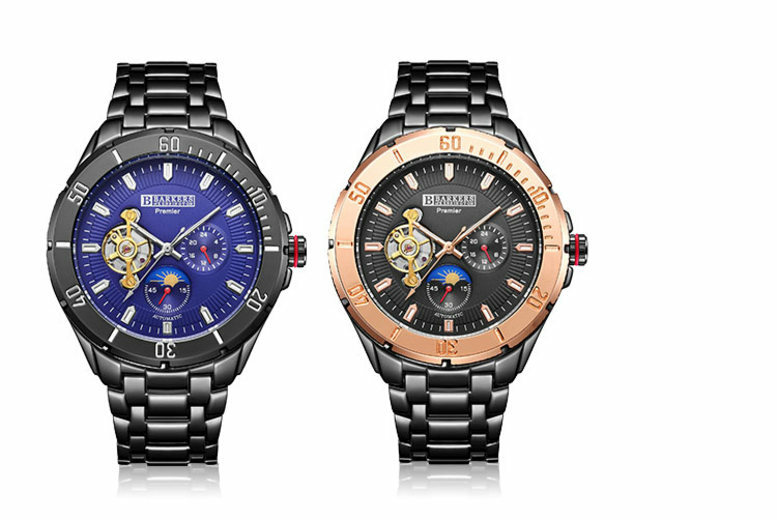 Show off a Barkers of Kensington mens watch. Choose from 2 designs: rose or steel. 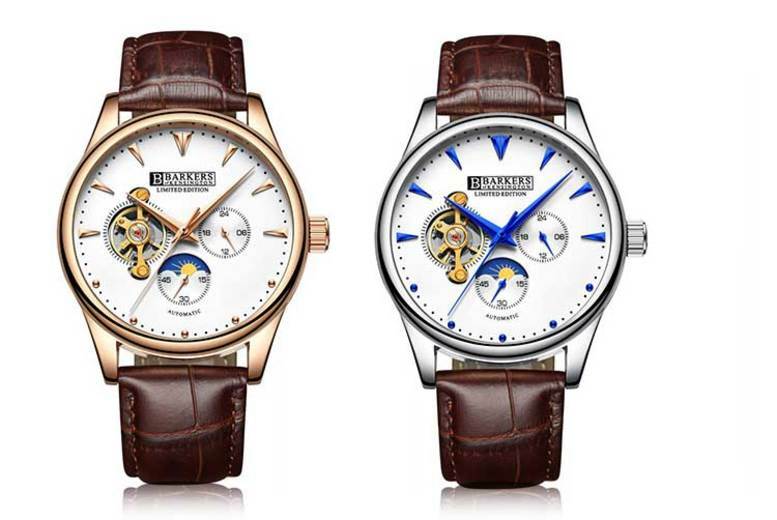 Both designs have white dial faces. And stylish tobacco brown straps.